For whatever reason, some people approach big race days like they would bowling on the moon. They throw out everything they know about horse racing and handicapping and, instead, prepare themselves for a completely new experience (that’ll be my last analogy — I promise). Now, I know that a lot of bettors think speed figures are useless — but a lot of bettors are wrong. Yeah, it’s tough to make money relying primarily on speed figures, but that’s because everybody is aware of them (thanks, in large part, to Andrew Beyer’s entertaining books and the commercial speed ratings, including his own, those books spawned). However, there is little doubt that speed figures are predictive. In fact, next to the morning line odds, they are probably the most predictive (well-known) single factor in the game. Note: Statistics derived from my database of nearly 70,000 races run at various tracks from 2012-2017. As you can see, the numbers are startlingly similar and, in fact, one loses less playing the top speed figure horse. 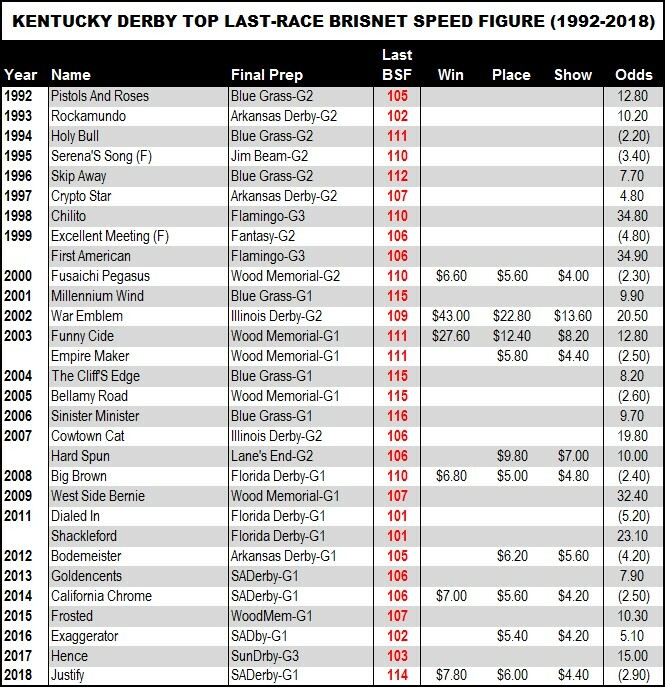 What’s more, since Brisnet speed figures became available in 1992, the horse(s) with the best last-race BSF has worn the roses a half-dozen times, producing an ROI of 64.7 percent to win. Ten of these horses placed — good for an ROI of 41 percent. Here’s an even more shocking stat: Since 1992, only Mine That Bird has won the Derby after earning a last-race Brisnet speed figure of 95 or less. Still think speed figures don’t matter? Editor’s Note: Brisnet speed figures have changed since they debuted in 1992. 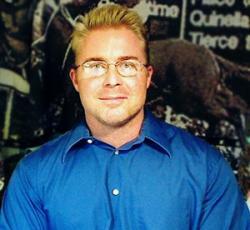 What’s listed in this article are the figures as they appeared at the time.